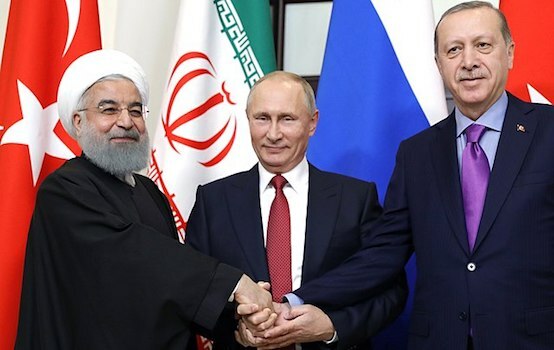 It came as a big surprise that Turkey’s President Recep Tayyip Erdogan recently labeled members of the US-led coalition as promise-breakers and supporters of terrorism. According to the Turkish leader, this coalition provides support to various terrorist groups, including ISIS, YPG, and PYD. Also according to the Turkish leader, Ankara has the evidence to back up that claim. But what exactly offended Ankara so much? Over the past few days, Turkey has been suffering extreme setbacks against the Islamic State in the northern Syrian city of Al-Bab. Previously, troops employed in the Euphrates Shield operation successfully took the western suburbs of Al-Bab and were planning to occupy the heights overlooking the city. However, ten days ago the “shield” cracked, when ISIS units opposed Turkish troops in a frontal assault, inflicting heavy losses upon the Turkish army. Militants report that in just one day, Turkey lost up to 70 soldiers and three modern battle tanks. Immediately after the announcement, ISIS began spreading videos featuring the destruction of various Turkish armored vehicles. The Turkish General Staff announced that it lost 14 servicemen, 10 German manufactured Leopard tanks, an M-60 main battle tank, personnel carriers and a Cobra armored vehicle. The pictures that can be found now on the Internet depict Turkish armored vehicles severely damage by TOW missiles that in recent years have “suddenly” started appearing in the hands of ISIS terrorists. But nobody should be really surprised at this point, as the Turkish media has been reporting in late December that Washington was stepping up its weapons supply efforts to terrorists via the Syrian Al-Hasakah Governorate. It’s been noted that as the US Ambassador to Ankara, John Bass kept persuading Turkish reporters that Washington was not supporting militants directly, the airfield in the Syrian city of Rumeylan saw an ever increasing number of US transport planes landing. The payloads they were carrying would soon be transported by US helicopters to different parts of the country. According to Turkish journalists, the last large delivery of weapons occurred on the evening of 27 December. It has also been noted that weapons are being delivered to Syria via hundreds of trucks, carrying their deadly cargo from the Iraqi city of Erbil to areas controlled by Syrian Kurds. We have seen various commentators noting that under the guise of military assistance to the Kurdish Peshmerga, the Obama administration is actively assisting various extremist groups in Syria by secretly supplying them to with all sorts of weapons, along with so-called “advisers” in a bid to topple the legitimate Syrian government. 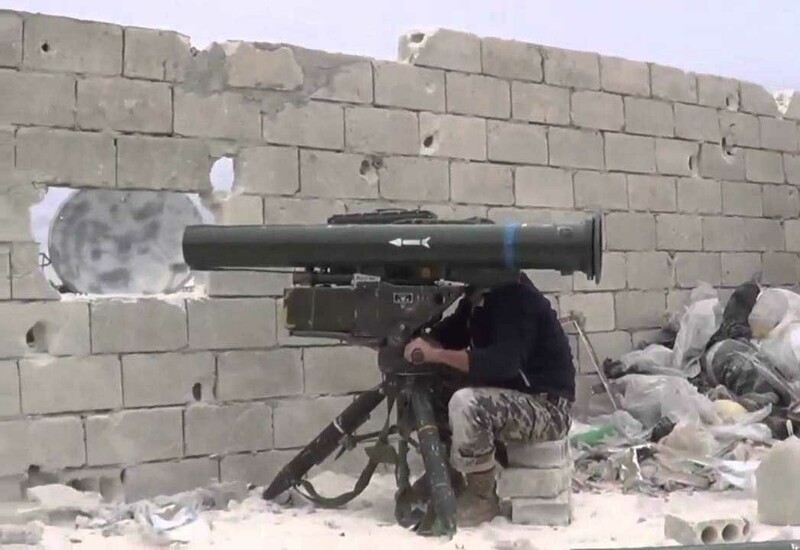 It’s no coincidence that after the liberation of Aleppo, Syrian troops found stockpiles of weapons and explosives manufactured in the US, Germany and Bulgaria, including a large amount of anti-tank missiles. While the Aleppo operation has been a turning point in the Syrian armed conflict, the White House is still eagerly providing maximum support to the so-called “moderate opposition” in Syria, but now it’s clear for pretty much everyone that Washington is essentially assisting ISIS. Last December alone Turkish bloggers spotted the passage of three large cargo ships through the Bosporus Strait, presumably carrying arms for Syrian militants. In particular, in mid-December a freighter, Karina Danica, left Bulgarian shores, heading to the Saudi city of Jeddah with weapons on board, reported the Bosphorus Observer on Twitter. This data is confirmed by a specialized tracking site known as MarineTraffic. It is a well known fact that the freighter Karina Danica is a Danish vessel, chartered by the American company Cherming, which is the official supplier of non-standard NATO weapons for US “allies” in Iraq, Syria and Afghanistan. It’s curious that the Bulgarian Vazovski Machine-Building Plant that sells weapons to Cherming, increased its sales by 12 times in 2016, making a profit of 170 million dollars. What makes this whole arms supply story awkward is the scandal that broke in 2015, when the Chairman of the Iraqi Parliamentary Committee on Defense and Security, Hakim Zamili asked PM Haider al-Abadi to intervene immediately to stop the 300 million dollar ammunition deal that along with Romanian weapons, was being delivered to ISIS directly, while financed by one of Iraq’s neighboring countries. In 2016, the director of the Conflict Armament Research, James Bevan stated that the weapons from Eastern Europe that were officially designated for the so-called “moderate opposition” have been falling into extremist hands. The decision to supply anti-government troops in Syria with all sorts of weapons, including man-portable anti-air missiles, that was signed by President Barack Obama on December 23, may lead to the further escalation of the Syrian conflict and many new victims. So there’s more than enough reasons for Ankara’s resentment of the Obama administration, since it is directly responsible for every single Turkish soldiers now dying in operations in northern Syria.